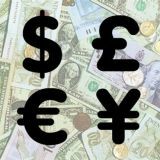 It was 2 days before my scheduled departure when I found a review of Ocho here on this website. Thank God. After miserable dining experiences I decided I would take my gf, she's Taclobanon, hehe, to Ocho for the first time. We weren't sure what to order so we were a little lost but the guy behind the display of fish, meats and veggies was very helpful. I got the Pork sislig and ask for it to be spicy. Now spicy to me is like lava to most here but they did a very nice job of accommodating my request. FOOD!!! Delicious, fresh hot food. Made the way I wanted it. I had found my heaven. My gf ordered the beef w/ mushroom gravy, and while I thought the meat was a tad chewy, it was very tasty. I have been dying for pork adobo but since we didn't see it on the menu i didn't order it. Thats where asking comes in handy. We asked our wait staff if they had pork adobo and she went back to ask. When she returned we were told it takes a little longer to cook but yes they could make it. NOT NOW!!! hahaha still full from my dinner. It is now the next day and after my gf and I spent a few hours at the spa, we are staying at the La Rica hotel around the corner, we headed back to Ocho. Pork Adobo here I come. We got our table quickly and got down to ordering. I got the, yup, pork adobo, as well as sliced pork w/ salt and pepper. I was hungry as I didn't have breakfast. My gf ordered the sizzling fish w/ mushroom gravy. The food came much faster than I had anticipated and it would have been worth the wait. So delicious. Had I found Ocho the day I got here I would have had at least 1 meal a day there. 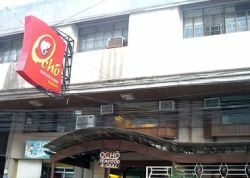 If you are here in downtown Tacloban, and looking for a good meal, Ocho is the place to go. As far as pricing, I think it is barely higher than one of the fast food joints here in town, but well worth it. Oh ask for the menu. You'll get a better idea what you can order before you go to choose your meat or seafood. I can't wait to come back. Thanks Ocho!! (my gf is reading this and now thinks i'm only coming back to eat at Ochos) shhhhhh maybe I am!!! Would I recommend this restaurant to my best friend? absolutely!! Seafoods restaurants are very common in the Philippines especially in the provincial areas. Ocho Seafood and Grill is one of Tacloban's most well known restaurants and the set up is quite similar to "Dampa" here in Manila. Husband and I have been here twice already, most recently in June this year. On our first visit we ventured out for dinner together with other members of my younger kin group. On our second visit, my elder sister treated us for a gastronomic lunch. I particularly enjoy the Buranday soup, it was brimming with flavor. I like also the pork barbecue and calamares. The fresh buko was delicious, I made sure the coconut meat was scrapped to the last bit. The tonto grilled was tougher than I expected but the rest was okay. On both visits, we were so stuffed that we couldn't finish our food but we were able to bring home leftovers. Would I recommend this restaurant to my best friend? absolutely, it's a great place to eat out with family and friends! Ocho Seafood and Grill is a restaurant here in the city of Tacloban. Tacloban is located in the eastern part of the Philippines. It is owned by a young Chinese couple. Ocho means eight and eight is a lucky number for the Chinese, hence the name. The restaurant boasts its wide variety of sea food dishes. In fact, it is what people from out of town come for. It is one of my favorite restaurants in the city not only because of the delicious food they serve but also because of their fast service. When you enter the restaurant, you will be given a choice from the fresh sea foods they have on display on the cooler. After ordering what you like and what type of dish you would like to be cooked, you will only have to wait ten to fifteen minutes. Then voila! Food is served. Among my favorites are their grilled fish and grilled pork. I also love their baked oysters and baked scallops. From the first time I have tasted their food I couldn’t wait to the next time that I would be back to eat at Ocho. I guarantee you that you would feel the same as I do once you’ve sampled their offering mouth watering dishes. It’s simply the place to be when it comes to sea foods here in our city. Would I recommend this restaurant to my best friend? absolutely! WRITE YOUR OWN RESTAURANT REVIEW. CONTRIBUTE YOUR KNOWLEDGE AND BECOME A VITAL PART OF OUR COMMUNITY.